How do I add more employees to my report? Once you have completed your search on Google Maps by adding businesses, you'll progress to the next page where there will be a list of employees. On average, up to five employees are shown per business. To add them to your list, select them individually or select them all. 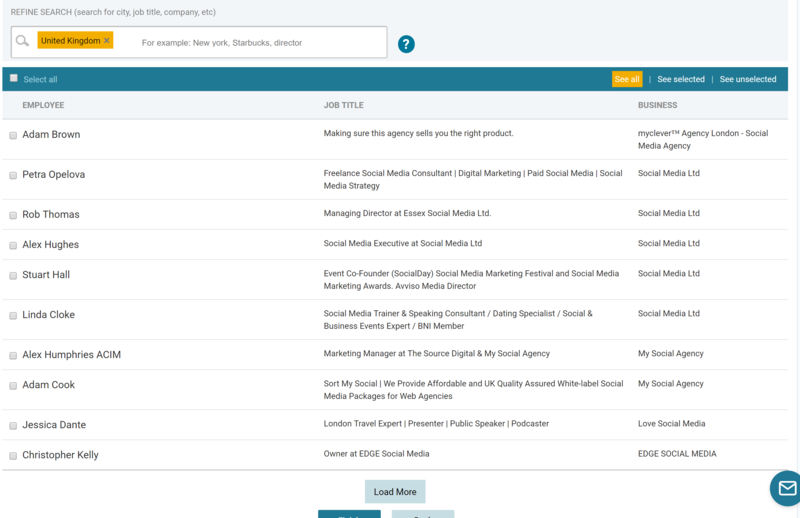 You can filter your result by following these procedures, which allow you to get employees from a certain location, designation, or other related keywords. Once done with the selection, click on Finish to generate a report. The web app works in a similar way to the extension. After selecting the businesses, up to five employees are shown per business. You can even filter your results by following these procedures, which allow you to get employees from a certain location, designation, or other related keywords.